The 1951 Chevrolet 3100 Pick Up looks amazing and has a lot of space available for a big engine with all the bells and whistles. 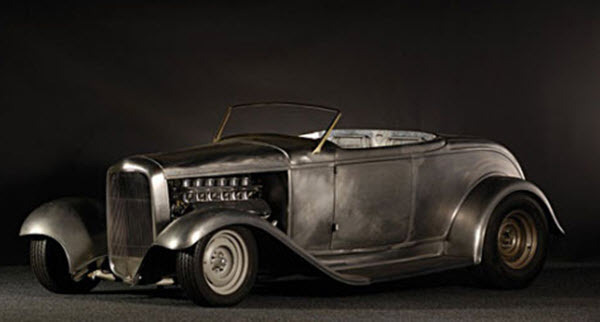 No wonder it is such a popular car to hot rod. Also, Chevrolet trucks were number one in sales in the United States from 1947 until 1955, so there were a lot of these cars available on the market for hot rod enthusiasts to get their hands on. The 1951 Chevrolet 3010 Pick Up is a part of Chevrolet’s Advance-Design series, Chevrolet’s first major redesigned after the end of World War II. Compared to the Chevrolet AK Series (1941 – 1947), the Advance-Design trucks were not only larger and more powerful; they also sported a more sleek design and roomier cabs. The same basic design was used for all the Advance-Design trucks, from their premier in June 1947 to the end of the series in March 1955. However, some changes were made for each new year model, so there is definitely a differences between the earliest trucks and the 1951 Chevy 3010 Pick Up. For instance, the manual shift was moved from the floor to the column for the 1948 model and onwards, and in early 1949 the gasoline tank was moved to an upright position behind the seat in the cab. For the 1950 model and onwards, telescopic shock absorbers were used instead of lever-action type absorbers. Vent windows were added in 1951, and half-way into 1951 the 9-board bed was replaced with an 8-board bed. 1951 was the last year for the 80 mph speedometer (it was replaced with a 90 mph speedometer in 1952) and it was also the last year for the chrome dashboard (the dashboard was painted from 1952 and onwards). The chrome-lover will also be glad to know that the 1951 Chevy 3010 Pick Up had chrome window handle knobs and a chrome wiper knob. Chrome bumpers were standard on single-unit trucks, but optional on the cab models. The 1951 model had Ventipane door vent windows instead of cowl vents, and due-serve self-energizing Bendix type brakes instead of Huck type breaks. Corner windows were optional. The standard color for the 1951 year model was Forester Green, but you could order an other color without having to pay any additional fee for it. 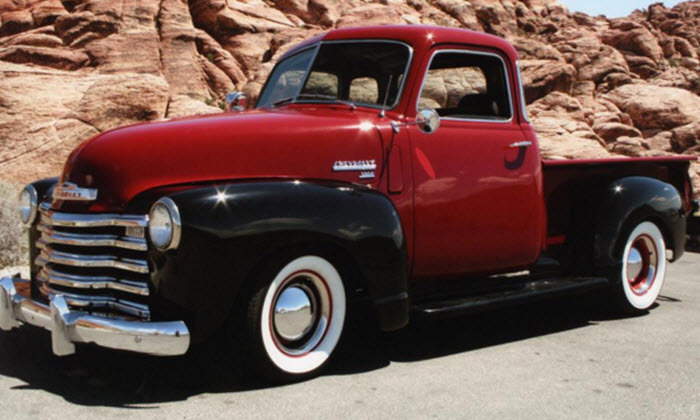 The 1951 Chevy 3100 Pick Up weighed nearly half a ton (3,120 lbs or 1,415 kg) and had a 116-inch wheelbase. It was marketed as a light-duty truck. The Gross Vehicle Weigth (GVW) was 4,200 lbs if you used the standard 6 x 16 tires, but would increase to 4,800 lbs with 6.5 x 16 tires. From tip to tip, the truck measured just under 200 inches. The standard engine for a 1951 Chevy 3100 Pick Up is a carryover 216.5-cid inline six-cylinder engine rated at 92 hp.